Giving is releasing trapped energy. For financial contributions, use the links below and you will be redirected to Paypal’s secure site. If you are already and Amazon member, please consider using AmazonSmile for your purchases. Amazon will donate 0.5% of the price of your eligible AmazonSmile purchases to Jamaica Outreach Program Inc. whenever you shop on AmazonSmile. We understand that your time is valuable. 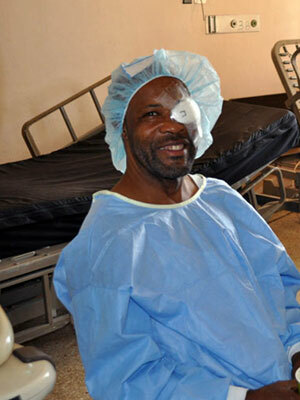 At JOP, we believe that the Jamaicans we serve possess the same human dignity as our stateside patients. With the addition of our new dental clinic, we are now in need of dentists, dental hygienists and assistants. As always, we can use optometrists, ophthalmologists & opticians and lay people for any of our mission trips. Mission trips take place 4-6 times per year. We also have other volunteer opportunities in Naples, FL. You can help at fundraising events, the food drive, hosting Jamaican visitors, and other activities. FL registration # CH35318. A COPY OF THE OFFICIAL REGISTRATION AND FINANCIAL INFORMATION MAY BE OBTAINED FROM THE DIVISION OF CONSUMER SERVICES BY CALLING TOLL-FREE (800-435-7352) WITHIN THE STATE. REGISTRATION DOES NOT IMPLY ENDORSEMENT, APPROVAL, OR RECOMMENDATION BY THE STATE.